For Mobilians on the go, getting where they need to be could soon be like riding a bike. 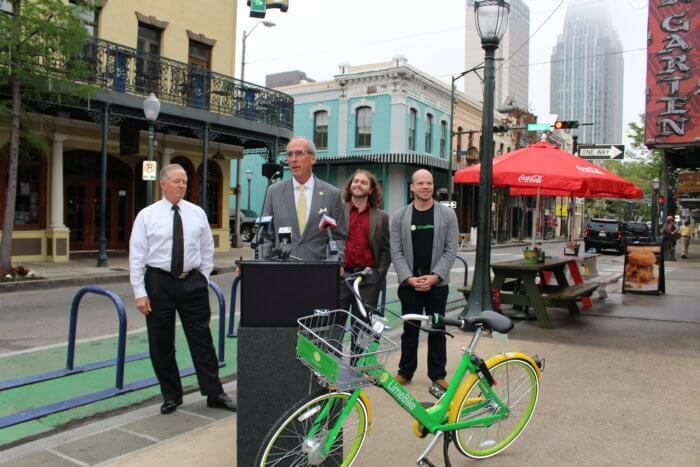 On Monday, Mayor Sandy Stimpson announced the pending arrival of a dockless bike share, known as LimeBike. 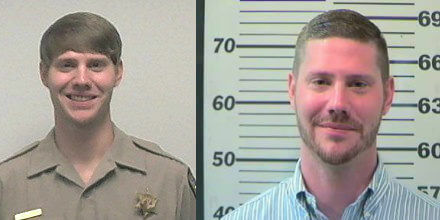 “Today, we took a major step toward fulfilling a major target early on,” he said. While Stimpson announced the proposed franchise agreement with LimeBIke, the Mobile City Council will make the final decision as early as next week after holding it over this week, per its own rules. Despite the delay, councilors seemed supportive of the measure. In addition to Councilman John Williams — who attended Monday’s press event and rode a bike down Dauphin Street — Councilman Levon Manzie voiced his support during a pre-conference meeting on Tuesday morning. Manzie represents the downtown Mobile area. LimeBike is already in 45 other cities nationwide and will be dropping 500 bikes throughout the Mobile — primarily downtown and at the University of South Alabama campus — starting in August, Stimpson said. There will be no cost to the city, he added. While the bikes will help close some gaps in the city’s transportation system, Stimpson admitted it would probably not be a solution for those individuals looking for more bus options. For that, he said the city has sent out a request for proposals to a number of bus companies to try and find solutions. 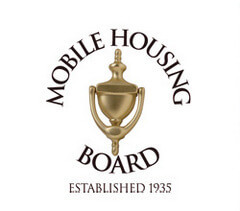 In 2016, the Mobile City Council approved a recommendation from WAVE transit to cut most of the bus routes outside of the city limits. The city was paying the lionshare of the cost to run the buses, with federal money also being put forth. WAVE routes now terminate at a federally funded transportation plaza in Prichard and no longer serve Chickasaw, Eight Mile, or Tillman’s Corner. LimeBike is unusual when compared to other bike share services, as it’s dockless, LimeBike Director of Strategic Development Todd O’Boyle said. The service is instead completely app-based. Anyone who would like to use a LimeBike can simply pull up the application on a smartphone and scan the code on the back wheel base to unlock it. From there, rides are $1 for every 30 minutes and 50 cents for USA students. Because there’s no docking station, the bikes can go wherever a rider wants, Stimpson said, adding that there’s no need to find a specific place to park them. O’Boyle said the company will be looking to recruit part-time fleet managers and bike mechanics in Mobile ahead of its launch in August.